Multicolored bags are in fashion and their demand gets slightly enriched once they are manufactured in the pretty and cute circular shape. This blue and Read More..yellow embroidered bag comes with a broad sling which is thoroughly engraved with designs in colourful stiches. 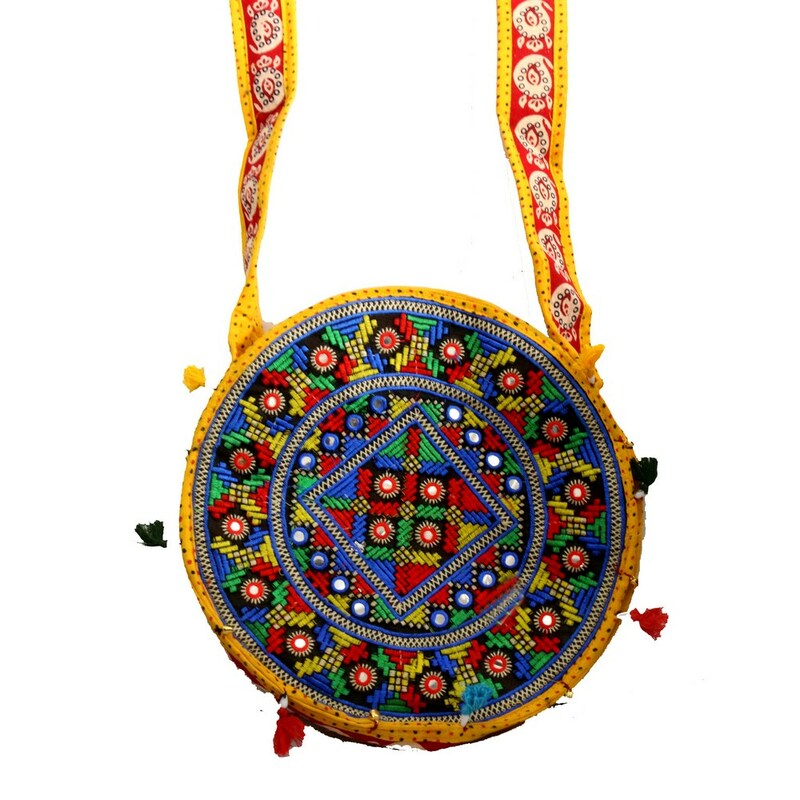 The circular bag is encircled by little pom-poms to crown the traditional effect. Show Less..